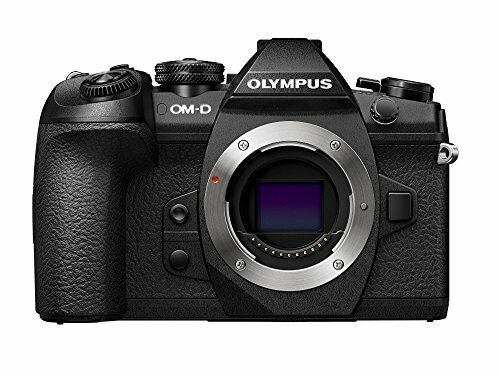 On holding the Olympus OM-D E-M1 Mark II, the first thing that you notice is the light and compact body of the camera; the knurled dials, and thin lens give the entire body an almost vintage appeal. Flip it over, and you notice the slightly protruding EVF (electronic view finder), the three inches fully articulating touch monitor and a minimal number of buttons. The magnesium alloy body is dust proof, freeze proof and splash proof; the only issue faced is that the finish seems to attract scratches even after modest wear and tear. Olympus’s most high tech camera till date, it is a powerful machine, and packs quite a punch: With dual quad-core processors, and two SD card slots; the best-in-class image stabilization; amazing burst mode abilities and a highly hospitable lens ecosystem, it can be your first choice when it comes to a highly versatile camera: provided you can shell out the moolah. The Olympus E-M1 Mark II builds on the initial trendsetter, the Olympus OM-D E-M5 released back in 2012. Olympus continues with its innovation in the Micro Four Thirds industry, by introducing radical improvements that make other MFTs seem outdated well before their time. Being an MFT system compliant model, the camera has the obvious advantage of a smaller size and a lighter weight; but the build strength is not compromised. The battery is rather bulky, but provides enough power for around 440 shots, which is definitely less than DSLRs of similar specifications. A special hand grip (sold separately) can, however, provide a second power source. Dual SD card support provides the possibility of a large extension in storage space, or managing an overflow, or backing up especially important images. The most attractive point in favor of this device is the amazing shutter speed. While using the mechanical shutter, one can shoot at 15 frames per second, however, while using the electronic shutter an astonishing 60 frames per second can be produced. This number is customisable, and one can adjust the frame rate as per requirement. For very high frame rates, the time between the images is so slight that the difference in movement, at times, can be hardly discernible. The amazing capabilities of the camera are enhanced by the Pro Capture mode, this is a unique implementation of a concept rarely seen in a still-camera; on pushing the shutter half-way down, the camera begins to store images into the buffer. When the shutter is pushed all the way in, 14 frames before the click are stored along with the number of frames recorded as long as the shutter is pressed. The only downside to this feature, is that after an intense session of shooting bursts; the camera needs a few seconds to save the images to the memory card. This depends on the shutter speed chosen, at 60fps, the camera shoots 50 frames before maxing out or at 15fps this can go to around 120 snaps. This can almost be a blessing in disguise, as it saves one from having to sort through a multitude of indistinguishable photos; it is therefore best to be used only when essential. Apart from native resolution of 21.8 MP, the camera is rigged with the famous Olympus 50 Megapixel High-Res Shot Mode: this allows the sensor within the camera to move around and capture 8 successive shots that are composited by the processor into a single 50MP image, or an 80MP RAW file. The 5 axis image stabilization is the best in industry, one can even shoot exposures as long as a second without a tripod. Even handheld exposures of two seconds can turn out acceptably at times! Coming to the ergonomics, the camera is a snug fit, a definite improvement over its predecessors. The EVF, a feature not present, ordinarily in DSLRs, provides a more realistic view of the image that is eventually recorded. The eyecut for the EVF is covered by a snug fixture, which makes it remarkably convenient and comfortable to find a view. Overall, the camera is rich in features, and can churn out beautiful pictures in almost every situation. Fast motion photographers stand the most to gain from its abilities. This light and compact camera is very powerful and versatile with best image stabilization properties. Thanks for a good and overall review of this excellent camera.﻿ This is all well & fine. I love it.